Spend the 30th (Fri) exploring nature at Yellowstone National Park. The adventure continues: explore the stunning scenery at Grand Canyon of the Yellowstone, contemplate the waterfront views at Yellowstone Lake, take in the natural beauty of Black Sand Basin, and explore the striking landscape at Lower Geyser Basin. For more things to do, ratings, maps, and more tourist information, use the Yellowstone National Park planner . 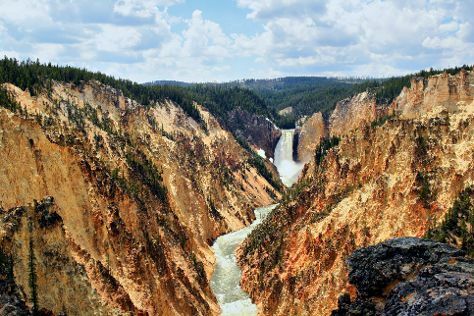 Boston to Yellowstone National Park is an approximately 10.5-hour combination of flight and car. You can also do a combination of train, flight, and car; or drive. You'll gain 2 hours traveling from Boston to Yellowstone National Park due to the time zone difference. When traveling from Boston in August, plan for slightly colder days in Yellowstone National Park, with highs around 70°F, while nights are much colder with lows around 38°F. 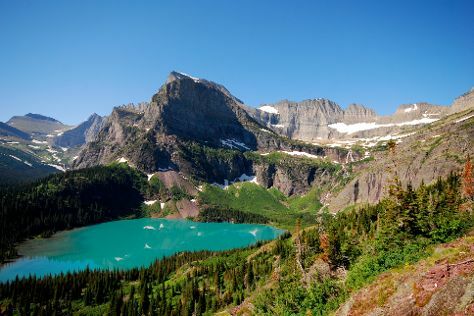 Finish your sightseeing early on the 2nd (Mon) to allow enough time to travel to Glacier National Park. Spend the 4th (Wed) exploring nature at Waterton-Glacier International Peace Park. And it doesn't end there: cruise along Going-to-the-Sun Road, take in the dramatic scenery at Virginia Falls, explore the striking landscape at Grinnell Glacier, and admire the verdant scenery at Logan Pass. Ask Inspirock to suggest an itinerary and make planning a trip to Glacier National Park fast, fun, and easy. You can do a combination of car, flight, and taxi from Yellowstone National Park to Glacier National Park in 8 hours. Alternatively, you can drive. Plan for somewhat warmer temperatures traveling from Yellowstone National Park in September, with highs in Glacier National Park at 70°F and lows at 40°F. On the 6th (Fri), you'll travel back home.